Galaxy Note 8 was announced recently by Samsung company and people are tingling with excitement to get their hands on the smartphone giant. 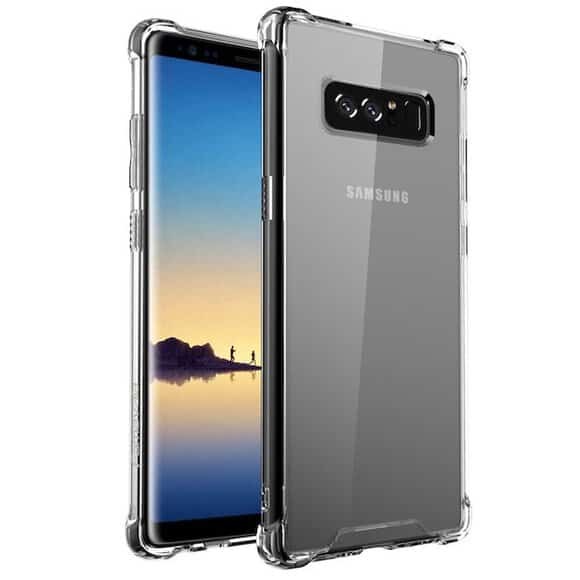 In this article, we aim to bring some of the best Samsung Galaxy Note 8 cases and covers that will protect your device from various mis happenings. All these best cases for Samsung Galaxy Note 8 are awesome in terms of protection, looks, toughness and usability. 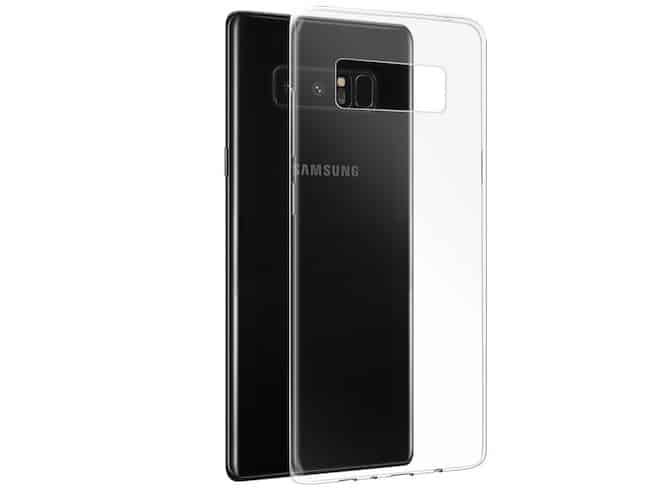 So, if you have purchased Galaxy Note 8 recently and looking for the cases and covers to protect your phone from dust, scratch and accidental damages, this article is for you. We will be covering 14 best Galaxy Note 8 cases and covers in this article and predicts which suit best for your new smartphone. 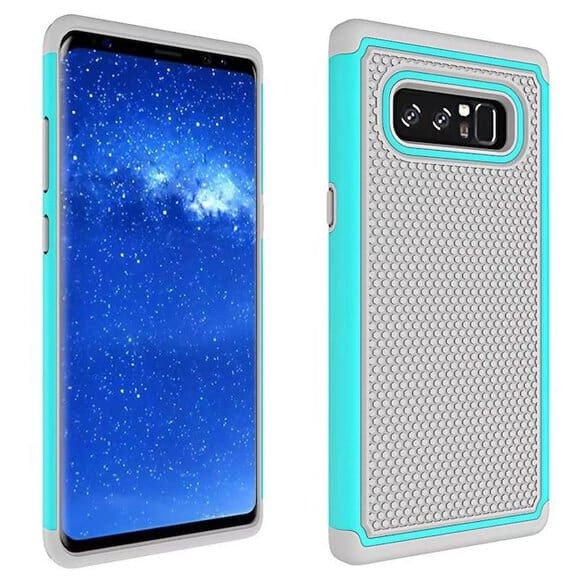 The specialty of this Samsung Galaxy Note 8 cases lies in its rigidity. Equipping this one will save your device from the severest of drops. Also, they come with a kickstand so that you can watch movies or TV series without the trouble of looking for something to support your phone. It’s a dual layered two piece heavy-duty back cover that prioritizes safety over everything. Is also offers a very strong grip give its textures. However, sometimes it may become a bit bulky given its size and becomes difficult to carry in a tight pocket. 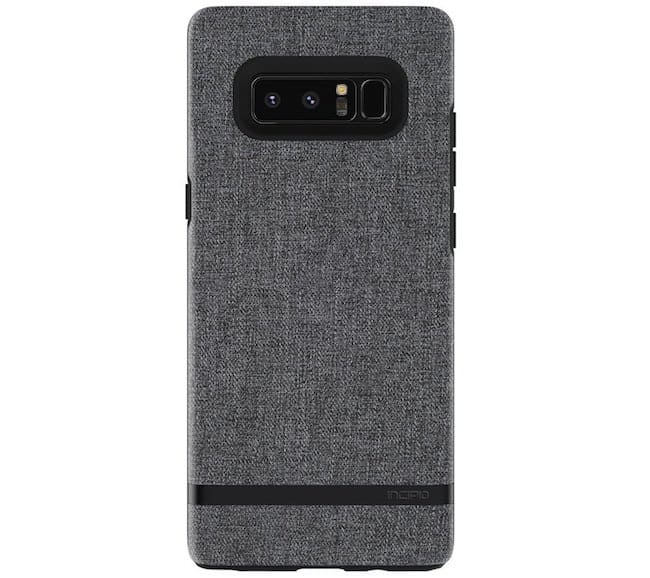 For those who aren’t in design stuff, this is one of the best Galaxy Note 8 cases that you can pick. The clear and transparent cover aims to deliver a nice grip all over the phone and make it shock and scratch proof to some extent. It also prevents dust damage to the devices. Though the Samsung Note 8 will have IP68 protection, one can never too careful. 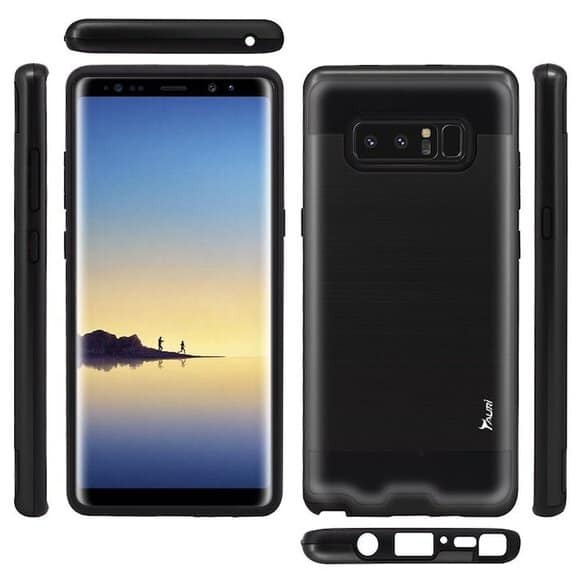 This is one of the best Galaxy Note 8 protective cover that has been created for mobiles so far. Not only does it offers super grip, but it has also passed a 10-foot drop test. It looks quite simple on the surface, but underneath is made of the best materials . Also, it costs around the 2K range and delivers every bit of the money you invest in it. The case also comes in various colors and designs thus giving the buyer a huge range o choose from. 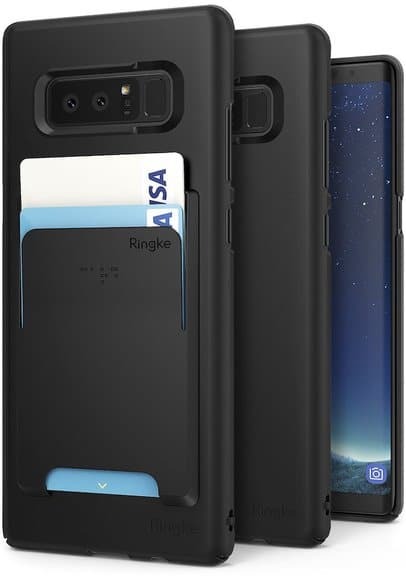 It’s the best protection you can get for your Galaxy Note 8. Glossy, tactile, easy to press, flexible and comes with air cushion technology. Priced at a bit cheaper rate than the top tiers, this cover isn’t something to ignore. The all over new glossy look coupled with the creative spider web design has won the hearts of many and will keep on winning. 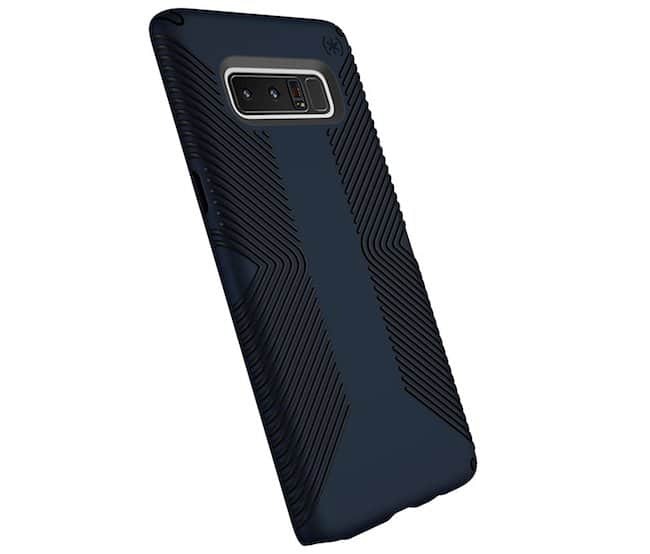 If you’re for something stylish case for Galaxy Note 8 and you’re on a tight budget, this the best pick for you. Ultra-thin and designed for its simplicity. 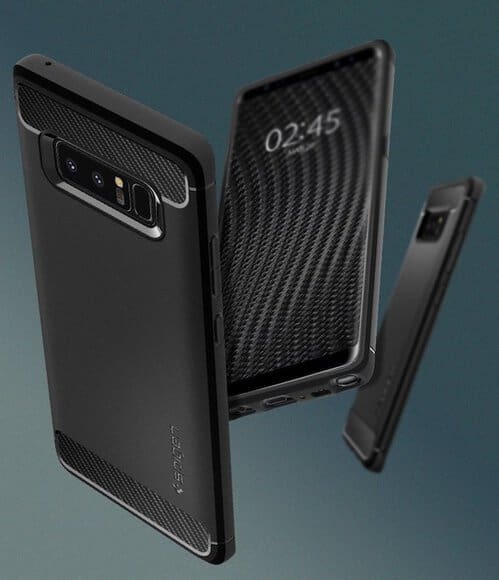 The Arsue Dual Layer Hybrid Galaxy Note 8 Case is made of polycarbonate PC material that offers over the edge protection to your phone, against any kind of drops and impact. The case comes in a variety of colors and patterns and has a sci-fi vibe to it, a must have accessory for any fiction lovers. 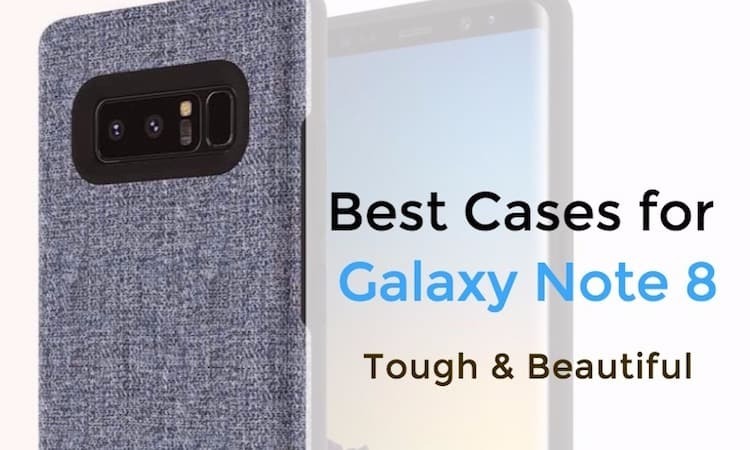 This is one of the best looking Galaxy Note 8 cases which we have reviewed for this article. Aside from the cases being super long lasting, the manufacturers have gone a step further and made the effort to make them feel good as well. Holding the case feels like you’re holding some sort of fabric, rather than anything made of plastic or other materials. The impact resistant TPU frames also prevent the device from bumps and shocks of a moderate degree. The OtterBox Commuter Case comes in two separate pieces. They have to assemble together one above the other to set up the cover. There are also port over that protect the device from dust. It also has a self-adhesive screen protector, so you don’t have to bother to buy another tampered glass. 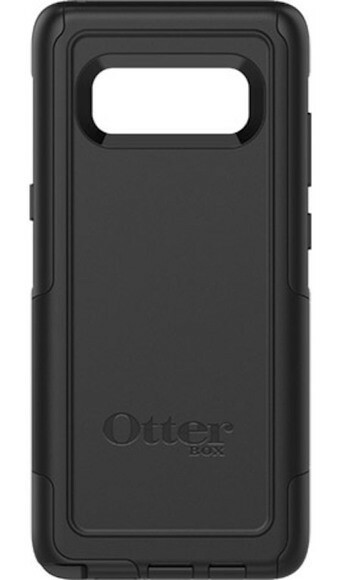 However, the super rigid covers that we have seen before, the OtterBox is quite slim and smooth and has no problem sliding in and out of your pockets. It also comes with 1-year warranty, something not seen in many cases. This is one of the best Galaxy Note 8 wallet cases that protect your phone from accidental damages. The Ringke slim wallet case is a multi purpose case and comes in two parts. The first is the normal case and the second part is a card holder that attaches on to the cover. The tough 3M adhesive holds the cards in perfection without the fear of losing them. A simple and natural design also available in multiple colors. It may be used in place of the card holder, and does a pretty good job at doing it. This case offers a dual layered protection. 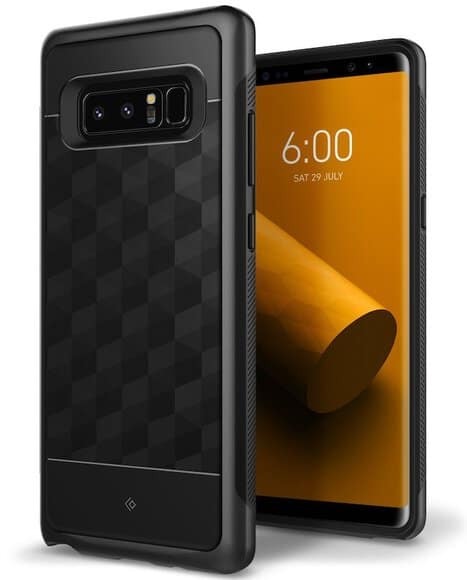 Combined with TPU and PC material this case offers top-tier protection and is specially made for the Galaxy Note 8. The Parallax cases also come with various patterns that look good in the eye and offers a superior grip over the device. Shock absorption, high-quality build, the Parallax series is a case to be reckoned with. 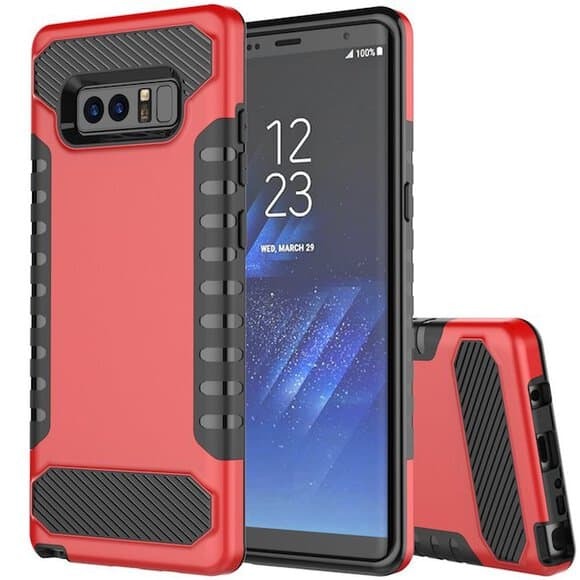 Looking for a rugged case for your Samsung Galaxy Note 8? 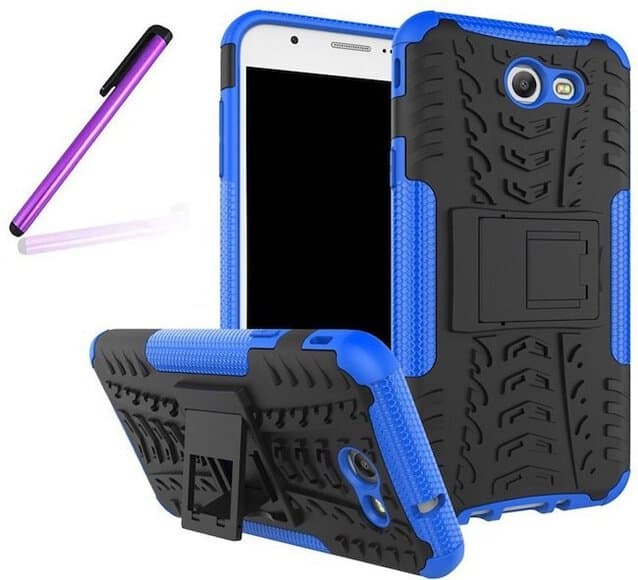 If yes, this is one of the best rugged Samsung Galaxy Note 8 cases available online. Specifications include a hard outer polycarbonate shell along with a soft shock absorbent TPU interior coating. It also comes with a variety of textures that offer a scratch resistant finish and looks good while it. The user-friendly design is soft and smooth to touch and the shock resistant corners make the case a must have for your new Samsung Galaxy Note 8. Designed especially for the Samsung Galaxy Note 8, the Famavala Clear Bumper case is a work of art and beauty. The edges, the design seem as if they were carved out of glass and gives the vibe of a super exquisite look. The anti-scratch back plate comes with TPU and PC protection and shock absorption. The raised bezels at the side not only prevents the camera and the screen from getting all dusty, but they also look very cool. This is much like standard hard cases, but with a little twist. 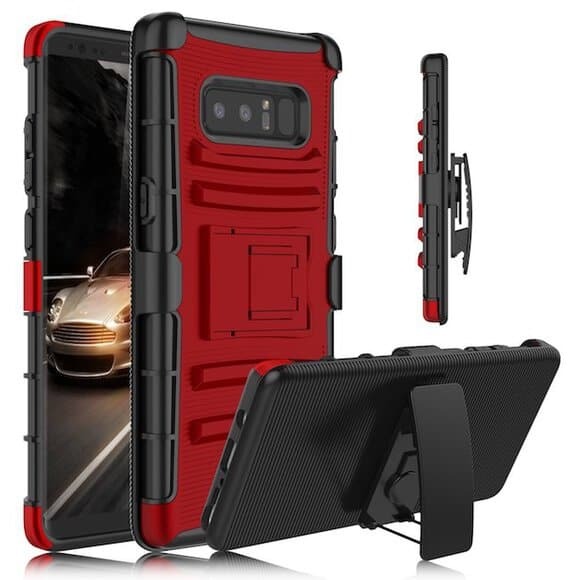 The Venoro heavy duty armor holster case for Galaxy Note 8 has a larger variety of textures and comes with a 180 degrees rotatable belt clip. This gives you the option to adjust your phone to different angles and not sticking to only one. The three layer case comes with a soft TPU inner layer that protects the device against shocks and falls. The two outer PC layers are for reinforcing the cover for some extra amount of protection. A basic cover with a soft TPU silicone finish. There is nothing too fancy about this cover, other than the fact that it offers a decent amount of protection against shocks and falls. The edge of the cover covers all the corners and rises a bit above the screen, thereby not letting it hit the ground and adding layers of protection to your smartphone. Another basic case with some impressive textures. The covers are smooth, slick and will fit easily into your pockets. The matrix of design created by the combination of horizontal and slanting lines looks a bit mesmerizing. The cover is also splash proof to some extent, all the while sporting a solid grip for the user. If you’re looking for a cheap, simple looking mobile cover, this is the one to opt for. These are all the best Samsung Galaxy Note 8 cases and covers that we have for you. All these best Galaxy Note 8 cases will help you to protect your device from accidental damages, scratch and dust. 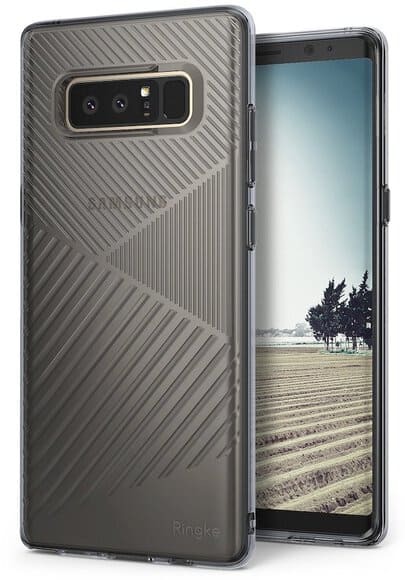 Are you using any best cases for Galaxy Note 8? If yes, do let us know in the comments section below. Also, do not forget to check our collection of best Galaxy S8 cases and Galaxy S8 Plus cases and covers.